Only a few nights away from the London Grand Tournament and Im mega excited! I will be taking part using a soup of big bad guys! Its a list that seems very popular as well with well known names such as Josh Roberts piloting the very similar list with a few tweaks! That means it must be good! Right?? Lets have a look at whats in it! So to start! 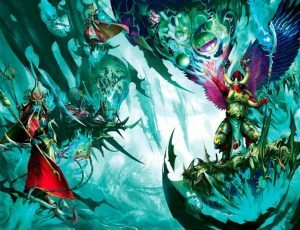 Why Chaos and why Daemon princes?? Well long and short is I love them! Anyone who knows me during 7th Edition knows they wouldn’t see me at a table without a bunch of big flying daemons! The second reason is because I recently played Adam Ryland (Fantastic bloke and very good player!) where he brought a similar list to Glasshammer gamings St Georges event. (Game 1 on the stream check it out!) I immediately fell in love with the theme of the army as it added in choices again, it had a bunch of powers and lots of different ways to play the game, that and look at all the mortal wounds!! The general concept of the army is really straight forwards but its good to go over some of the things you may see at the event. Why cultists why not plague bearers I hear you say? Well the reason is its more wounds, more bodies, that means more wounds before you get to the big stuff. In a mirror match up, it gives me an advantage as it means they will tank more smites. Not just that with them being Alpha Legion and the amount of Command points I have, I have the option in certain match ups to just push them up 9” away from the enemy! They are great for blocking deep-striking shenanigans and armies trying to push up the table. In missions where its important to cut distance fast they will be vital. So with all the options out there its possible to field daemon princes from Thousand Sons, Death Guard, Daemons and Chaos Marines. So why did I chose mine from where I did? 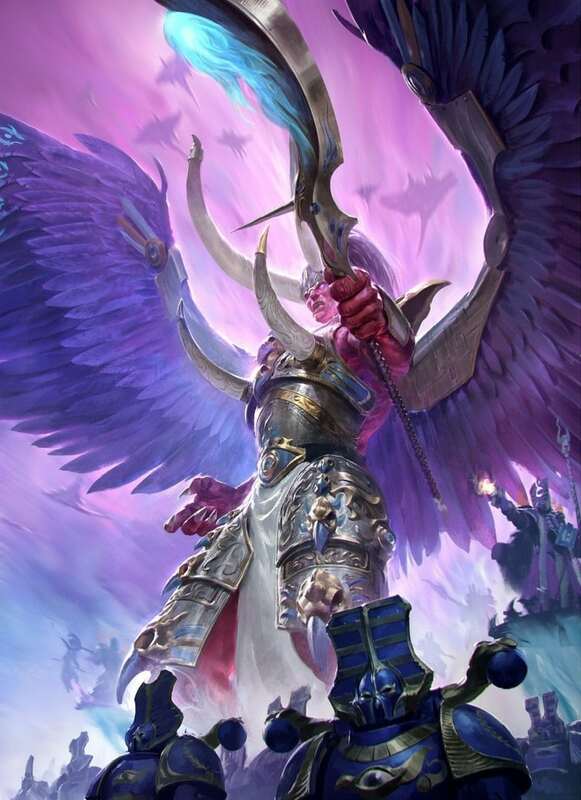 Well Thousand Son Daemon princes gain the benefit from being in a Thousand Sons Detachment meaning they get an extra 6” to all their spell ranges! Meaning Smite is now 24”, Warptime is 9” and it doesnt stop there! They get to cast two spells instead of one, and smite is cast at the base level of 5! So they will be casting after the Nurgle Princes. The warlord took the +1 to cast so will taking some juicy spells for more mortal wound output. I took the Nurgle princes as they gain the benefit of being a bit tanky and another way to soak mortal wounds as they still get their 5+ Feel no pain from Disgustingly Resilient. They only get to cast 1 spell and that will normally be smite but there is still the odd spell which could be useful. With his natural +1 to every spell, being able to cast 3 spells and move 12” hes just great bang for the buck! Normally sat inside by the princes as well making use of the strat of +2 to cast can mean he can reliably cast big spells when really needed! Also he will zip around making sure big M gets to where he needs too! See that there? Yeah I don’t want to! Go kill it! 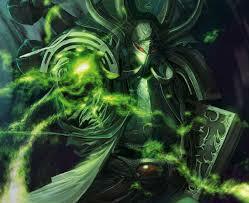 Hes great at killing single target models, pushing out d6-2d6 mortal wounds and being a pain to deal with! With a possible movement of 32” and still being able to charge thanks to Warptime, means he can get to where he needs to in most games and apply pressure! Hes a big target as well which can help take the heat of the rest of the army or the chaff as unless hes vs a horde hes a must kill. I’ve seen this guy single handed win a game and Im hoping he does the same for me! So how do I think it will do? I would expect around 3 or 4 wins as its a strong list but there’s still lots of hard match ups! So we will see how it does! After all it is a dice game! Want to know more? Got questions? Just post below and would love to answer! Or if you see me on the day, come on over say hi! Always happy to have a chat!